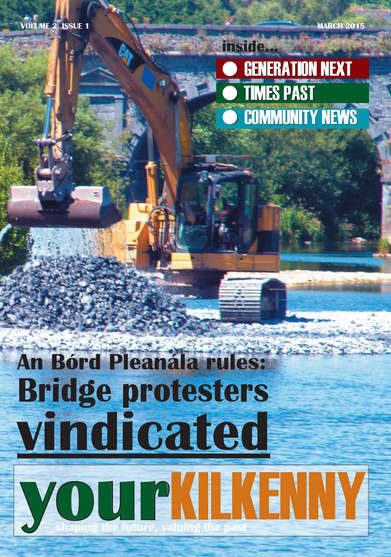 Just after the site was fenced off and work started, a handful of Kilkenny people, dismayed by the events at County Hall and the whitewashing of any review at the previous meeting in June, started a vigil at the main site entrance at Green’s Bridge. 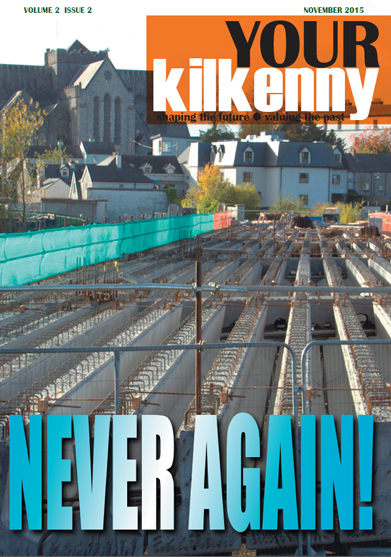 News spread quickly and growing numbers of ordinary Kilkenny people from all walks of life took to the pavement at the entrance to the building site. 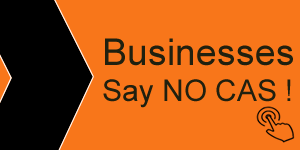 By the end of the week the #Save Kilkenny Campaign began in earnest through the social media (twitter and facebook).